The benefits of automatic feeders are enormous. 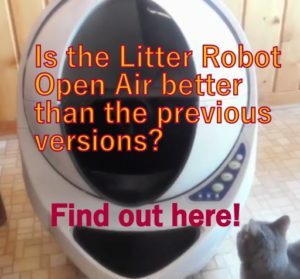 Some of you might be considering getting an automatic pet feeder but can’t decide if it’ll be a real solution for you and your cat. 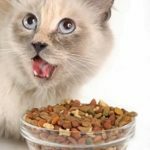 Effectively, feeding your pet automatically has several benefits and in this article I will explain them. 1. It disassociates you from the food: No More Waking Up At 5 or 6 am. Cats associate their owners with food and this association could be very annoying because cats demand food anytime when hungry or not so hungry. The most common situation of this is to be woken up at 5 or 6 AM in the morning with loud meows asking for food. If you need your rest you will really appreciate your cat to disassociate you from food. 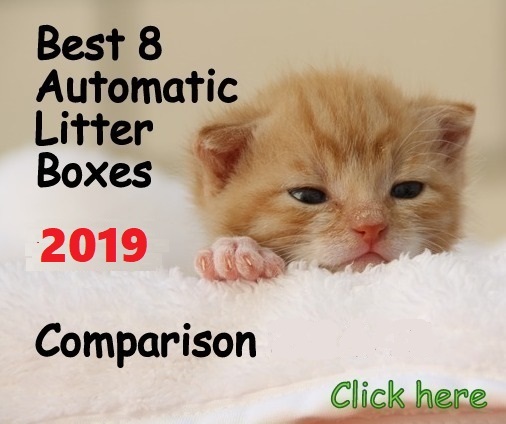 Automatic pet feeders allow you to feed your pet without you being present and this is one of the best benefits if you are suffering lack of sleep because of your cat. Cats need to eat very early and this fact doesn’t go along with your sleeping time. If you still want to keep the bound with your cat through the food you can feed your pet wet food in the evening when you get back home. If you have to leave your cat alone at home while at work all you can do to feed your cat without an automatic feeder is leaving a bowl full of food for the rest of the day. We all know cats are food lovers and they tend to eat all their food at once as soon as you leave it in the bowl so imagine how much your cat starves because he or she eats all the food in the morning. By the time you get home your poor baby will be loud and desperate asking for food. A good benefit of an automatic cat feeder is the ability to dispense the whole daily food intake in several small portions. 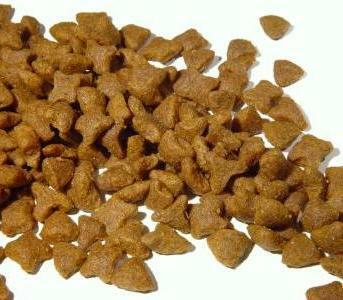 Maybe you want to feed your pet up to 5 or even 6 small amounts of food at a time to complete the daily food intake. This is possible, the amount of small portions feasible to program will depend on the type of device. Some automatic feeders allow you to program as many times as you want, especially the WiFi type feeders that are controlled by Smart Phones. By dividing the daily food intake in several small portions stop your cat from gorging all the food at once which is much healthier and avoids vomiting. 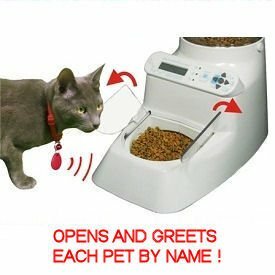 If you go on a trip the automatic feeder won’t replace the human care but if you get a good and reliable device as the Pet Feedster for example, you can ask your friend to come to your house less often to check on your pet. One of the major benefits of automatic cat feeders is that they allow you to feed your cat a healthy amount of food and control the portions. You don’t need to divide and measure the daily food intake in several smaller portions. The machine does it for you. I am certain that you have better things to do than measuring your cat food every day. You can control portions as well if you setup the feeder to dispense the food in 2,3, 4 or more parts/meals throughout the day, including snacks in between if you want. Controlling the food daily intake is really important too. 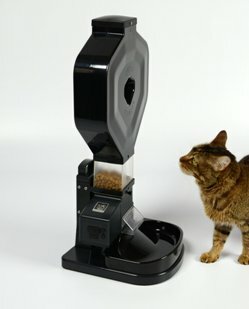 If your cat is overweight or tends to eat too much, this is one of the best benefits of having an automatic cat feeder. 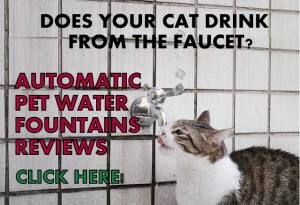 If you love your cat as I know you do, you don’t want it to be fat because this creates a lot of health complications. Free feeding your pet not only can make it overweight. Another disadvantage of free feeding is that your pet could develop bad habits. For example, some cats start eating right after some triggers and this behavior is not uncommon in cats. Having food available at all times allows this to happen. For example, my first cat Lily would eat every time I visited the kitchen, so if I went 30 times she would be eating 30 times. I must mention that not all automatic cat feeders on the market allow you to control healthy amounts of food and portions so you have to get a unit with this capability. Some good automatic feeders (dry food) to accomplish this, are the Pet Feedster, Super Feeder, PetSafe Healthy Pet Simply Feed, Petnet. To feed your cat wet food a good device is the Feed and Go and the Petsafe 5-meal. 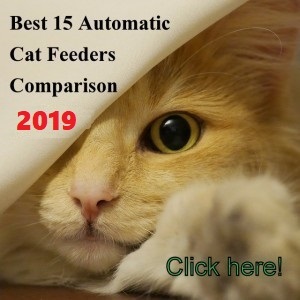 If you want to set a personalized feeding schedule for your cat, let’s say a very early breakfast at 5 am, main breakfast at 9 am, then lunch at 1 pm and another at 4 pm, to finish with dinner at 8 pm, for example, you can accomplish that by choosing the right automatic feeder that has this capability. It’s almost like having a pet sitter pouring food in the bowl for your cat, at the exact hours you want. 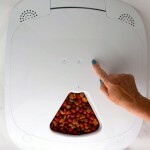 Check the following video how the Pet Feedster dispenses food in the bowl for my cat to eat. The benefit of programming a feeding schedule can be accomplished with a digital automatic feeder. A digital timer will allow you to program the meals with hour and minute. You don’t want to choose devices that offer very little flexibility to program the hour and minute for each meal. 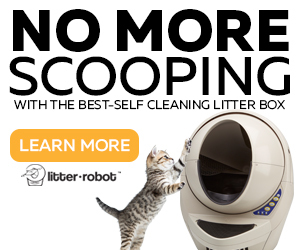 You want to have a unit that can be programmed to feed your cat anytime you want and several times a day. Again on this list are the Pet Feedster, Super Feeder, Ergo pet Feeder, just to name some of them. Now if you want to take the control to a whole new level you have the great benefits of WiFi feeders which allow you to trigger meals in real time through your cell phone. Also you can change the time you want the feeder to dispense the meal, all this just by login into the App of the feeder and from wherever you are located. If one of your cats eats the other cat’s food. Usually when two cats eat together, the dominating one does not leave the other cat to eat enough or maybe not eat at all. This situation could get really bad to the point of having the starving cat with risk of malnutrition. 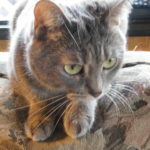 Fortunately, there are good solutions to keep your chubby cat away from the other’s food that you may want to learn if you have this problem with your cats. 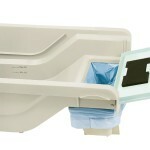 You can experience great benefits by choosing the right automatic feeder. Just do a proper research and be ready to outsource the task of feeding your cat to enjoy your extra time more. I hope that does not happen lol! 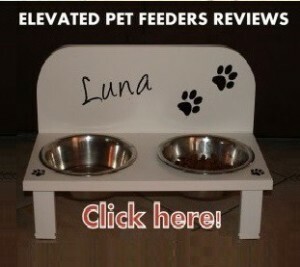 My daughter uses one of these and it works really well for her although the cats prefer their food directly from her. Does she feed them during the day too? Really useful for anyone who is away from home during the day travelling and working. I think a extra treats when home again would let your cat know who feeds and loves her, don’t you think? I agree. 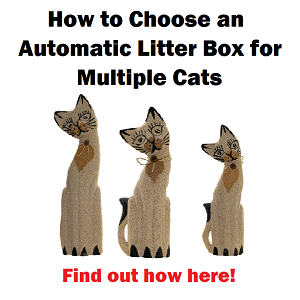 Automatic feeders help in the sense as they feed the cat in healthy amounts daily and according to desired schedules when people is not home. It is excellent as well to disassociate the owners with food in the morning when cats usually want to be fed at very early time when people is usually still sleeping.